be a boss. be you. The beauty beast is the inner beauty critic; the one who puts us down whenever we step foot near a mirror. Pretty much all women have one. Of course there must be beast-free women out there who don't criticise themselves, who live in a blissful state of self acceptance and self love, but have you met any? (If so I would love to hear all about it in the comments section below). I can imagine what some men might think had they read/heard this: 'WTF, there are gorgeous, confident and intimidating women everywhere I go: there is no way most women are as insecure as you suggest!". Seriously gentlemen…. don't be deceived by appearances: most beauty beasts are camouflage artists. Not only do they seek to deceive others, many of them have convinced their hosts that they don't exist. For denial of the beast's existence is crucial to its survival. Don’t be fooled by intimidating parades or cool displays of indifference, for chances are a beauty beast is lurking just beneath the surface of any seemingly confident and attractive woman. There is however, one place a beauty beast will always reveal itself: the mirror. The mirror draws out beauty beasts like moths to a flame. They are also known to slip out during deep and meaningful conversations when we feel safe enough to share our insecurities and vulnerabilities. Some women are in beast denial: they aren't even aware they have one at all. These sneaky little beasts are the nastiest, and I speak from personal experience when I say that you can drag your beast around with you for many years without even realising it is there. How? Because you have believed the beast's bullsh%t so much that when you look into the mirror, you see yourself as a beast. And before you give yourself another moment to contemplate or question the nasty things the beast tells you about yourself, you grab your makeup brush and hurriedly start ‘covering’, ‘concealing’, ‘correcting’ and ‘camouflaging’ yourself so that you can feel human enough to go into public with a face like yours. Deeply embedded within our subconscious, beauty beasts live inside of our heads, reminding us throughout the day that we aren't good, pretty, slim or young enough. As a result, many of our daily activities and behaviours are spent feeding and silencing these beasts: we go shopping when we truly don't need anything, eat when we aren't hungry and don't eat when we are. We buy a $200 anti-ageing serum on impulse even though we have no idea what ingredients it contains. We drink an entire bottle of red wine to ourselves even after we told ourselves last time that we would never do it again. We convince ourselves that sleeping with emotionally unavailable boys and hoping they someday approve of you is a good idea (usually after the bottle of wine). These beasts have us convinced that we are ugly, average, fat, old and unworthy. But the reality couldn't be further from the truth. My highly camouflaged beast used to run my life and prevented me from doing most of the things I wanted to do. Ironically at the the time I had no idea I even had one. My beauty beast was particularly hideous: nasty and relentless, with its outstanding camouflage artistry it had everyone (including me) fooled since adolescence. Since my teen years, I was struggling with an eating disorder: I would binge eat and then quickly go to the bathroom and bring it all back up, all because I was scared of cellulite. And did I think I was insecure? Did I think that I had issues? Did I feel like I was at the mercy of a beast? Actually...no. On the outside I appeared pretty damn confident. Even arrogant. I'd bought my own act, and never did I stop for long enough to reflect or question myself. It was all go go go, keeping myself incredibly busy to avoid the pain I was running from. I have no doubt beauty beasts have been around for eons, but in today's world, there seems to be a beast epidemic. By comparing ourselves to unachievable images of the 'ideal female beauty' portrayed in the mainstream media and advertisements, it means that no matter what we do... we can never feel good enough. And since only 5% of women actually possess the characteristics of the 'ideal female beauty', that means the other 95% of us must resort to starvation or surgery. And despite the fact that so many women invest such a large portion of their time, money and energy to the cause, most of us wind up feeling exhausted and disappointed. If you woke up tomorrow and felt like you were finally good enough just the way you are, what would you do with all your new time and energy? Do we want to leave a legacy of self-loathing, self-medication, retail therapy addiction, eating disorders and fear of ageing to the next generation? Do we really want our daughters to grow up in a world where they will spend most their time, money and energy trying to change themselves to fit into a completely insane and unachievable ideal? Or do we want them to learn to love and accept themselves, and celebrate what makes them unique? Despite what you may tell your daughter, chances are that she will just copy you and inherit your belief systems and behaviour patterns. So the best way break the cycle is to change yourself. Start by loving and accepting yourself in as many new ways as possible. The only way to overcome the beast is to face it, with love. The path from powerlessness to empowerment is one of self-awareness and self love. And until you learn to accept and love yourself, you will never be free to simply be you. So if you want beast-release, you must face it and feel it in order to be free of it (like with all difficult emotions). Here are 7 tips for some beast-release... but remember: everyone is different. Your journey is completely unique: try new things & always do what feels the best for you. Rather than getting lost in the chattering mind and caring what other people think, try to learn to listen to your heart’s guidance. And above all: never give up. It’s time to stop brushing your "silly insecurities" off as trivial. They aren't, at all. They affect every decision you make. And if you take these steps seriously, they could change your life. Admit it: the beast is real. And as long as it lurks in the corners of your subconscious, it will run your life. Begin the process of facing the beast: bring it out of the shadows and confront it head on. Start by looking into the mirror, straight into your eyes. Notice all the unkind things it says to you. But this time, don't believe everything it says, just listen to what it has to say and observe how this makes you feel. Realise that this hideous ugly beast is actually just a poor misinformed child who needs love and education. Be ultra compassionate, patient and forgiving for all its misconceptions and delusions. Tell it that you understand where it's coming from, but that it has been misled. Tell it that you will no longer allow any more unkind remarks and will be monitoring it from now onwards (with love). One evening I was in my kitchen with a lifelong friend having a D & M conversation that got deeper than usual. My friend shared a story with me that exposed one of her biggest insecurities, and then matter-of-factly added “but I’m sure you've never had that kind of problem”. My jaw dropped... “Are you serious!! ?” I shrieked in disbelief, “I have always been outrageously insecure about that! ?” and to prove it I shared a shame-filled confession of my own. We both just stood there staring at each other in shocked silence that after 25 years of friendship we had only just discovered this about each other. It made me wonder… if a "talkative open book" like me doesn’t share my deepest insecurities with even my closest of friends, then surely most women are the same, or worse? So with that in mind: perhaps join or start a sister sharing circle, and pick some topics you have never fully opened up about and start sharing your feelings and thoughts in a safe space. You will realise that you are far from alone and will hopefully get lots out of it. And if that seems like way too terrifying of an idea, try writing in a journal or diary. Just pick up a pen and start writing whatever comes to mind: explore yourself, express yourself. Burn it afterwards if it makes you feel better. The point is: get it out. I guarantee you you will feel way lighter and clearer. By sharing your beauty beast with others it will give them the chance to support you with much needed reality checks (and just a heads up: letting in the support/love/truth that follows the sharing of your beast will probably be the most challenging part of the process). So whatever you do... try not to let the beast reject their compliments/loving words of affirmation by brushing them off as incorrect, biased or insincere. If you're having trouble believing them, think about it this way: you can quite effortlessly see the beauty in all of your friends can't you? Well, they can see it in you just the same. We ladies need a serious reality check. I got one at beauty school one day during an activity where we had to determine what eye shape all the girls in the class had. I was absolutely positively sure that when it was my turn, they would state the obvious: I have bulging/protruding eyes. All my life I'd believed beyond any doubt that this was the type of eye shape I had (but I'd never shared this belief with anyone because it was a "flaw" I was ashamed of and therefore avoided bringing any attention to it). Sure enough, when it was my turn to be judged, they all just looked at me and quickly agreed: I have normal almond eyes. My mind nearly exploded: it turned out that for all those years I was just completely deluded. When I started working as a professional Makeup Artist (MUA), thats when I realised just how deluded 95% of women are about the way they look or "should look". In fact, becoming a MUA gave me an entirely new perspective on women. Suddenly women were sharing things with me that they normally would have kept a secret. No matter what my clients looked like, many of them would all do the exact same thing… After I would sit down face to face with them, remove their makeup, and stare at their bare face for a few moments to take in their unique facial features in order to determine what kind of makeup I would do for them, for many of them this brief but confronting process was simply too much for them to bare: it would stir their beauty beasts like waving a piece of fresh meat in front of a hungry lion, and they would begin involuntarily unloading their insecurities and delusions onto me “please cover this”… “please correct this”. Even though these women were only paying me to paint makeup on their fact, I could see that deep down, beyond the grip of their beauty beast, they wanted much more: beast release; freedom from self-judgement, self-acceptance and fearless uninhibited self-expression. Deep down all these women really wanted was to be able to recognise their own beauty. It made me wonder…. in a world filled with so many beautiful and yet ridiculously insecure and deluded women, should all beauty industry professionals also be trained in counselling? Where can women get the help they need to overcome their beauty beasts? Sure, there are counsellors out there, but how many women would actually go out of their way to sit down and talk about their beauty beasts. Not many. And this is exactly why I created my Beauty Truth Makeover - to help women see the reality in front of them. The reality that they are truly beautiful. That ALL women are truly beautiful, without makeup. Pay attention to your self talk: monitor your thoughts and notice how they make you feel. Stop choosing thoughts that make you feel negative and start focusing on thoughts that make you feel good about yourself. When negative feelings come up (which they will) be present to them: give them your full attention, drop them down from your head to your belly and really feel them and allow them to be and follow their full course, so they can be released. Begin cultivating a kinder new voice within you. We all have a nurturing inner wise women ready to shower us with all the love and support we are all worthy of. Like using a new muscle, at first when you tell yourself that you are beautiful, it will feel weak and untrue. But the more you say it, the stronger it will become, and by the time you know it, it will be the new norm. It takes time to reverse decades of beast programming, so be patient and gentle with yourself and make sure you take the time out to celebrate and congratulate yourself for every small win. I cannot emphasise this more: mirror affirmations/exercises have profound potential for personal transformation. Looking into your own eyes in the mirror and telling yourself that you love yourself, is incredibly challenging at first. In fact, it’s such a uncomfortable thing to do (if its something you have never really done before), that you've really got to laugh. I mean, we are so used to being mean to ourselves in the mirror that when we actually do say something nice it almost physically hurts. It’s feels like we are telling ourselves the greatest lie ever. It feels repulsive. My advice is laugh it off and keep trying, it will get easier and feel better with time. Don't take it or yourself too seriously. Personally I have really struggled with mirror affirmations because it was something completely new and alien to me, but after I keep trying it got easier, and there were a couple of spontaneous times I suddenly caught my own reflection and in a flash felt myself hold back an unkind beast comment and replace it with just a simple look of compassion and appreciation. For the first time it felt real, not forced, and the realisation that I’d finally had a breakthrough and so effortlessly showed love to myself in such a simple way, instantaneously brought me to happy tears. Heart opening and healing, it’s small wins and personal moments like these that inspire you to keep going. And as you continue breaking through the layers of self-criticism, mirror affirmations actually become very interesting because you can start telling yourself all kinds of amazing things. 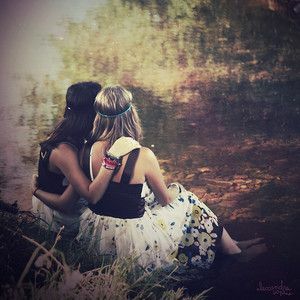 How many times have you been with a friend, or even stranger, and kept thinking how lovely she looked but never told her? Why didn’t you tell her? Did you assume she already knew? Ladies, if we all realised just how insecure most of our fellow sisters are, we would start showering each other with love/compliments/words of affirmation. Im not talking about giving fake compliments or butter people up, I am talking about describing and honouring the beauty you see, sincerely. May we all start spreading the love, truth and beauty more often, dishing out the compliments left right and centre to friends, family, and complete strangers. Let them know about all the beauty you see in them. We ladies need it. The world needs it. (of course we should give plenty of loving compliments to men too). Do it for your daughters and future generations. Do it for the brave women who marched for your rights many generations ago. Do not let their hard work go in vain by allowing yourself to remain a slave to the beauty beast. Rise up to the challenge of today: love and accept yourself just as you are! Start looking for your beauty & truth as relentlessly as you have focused on your flaws... and you will soon find it. Release the beast with love so you can step more fully into your truth and beauty, for it is your birthright to feel good in your own skin. It is time to break free from the spell of The Beauty Myth and become the bosses of our beauty, and of our lives. Remember that beauty is far from skin deep. You ARE beauty. You were born beautiful and you will die beautiful. You simply need to be yourself and love yourself for you for who you are, rather than trying to be something your not. This is why they say confidence is the sexiest thing you can wear, because it's true: nothing is more beautiful than someone who loves and values themselves, and doesn't seek the approval of others. Practice self-discovery, self-awareness and self-acceptance, and you will soon discover that the beauty beast is nothing but a fearful little grain of sand when compared to the powerful sun that is self-love.